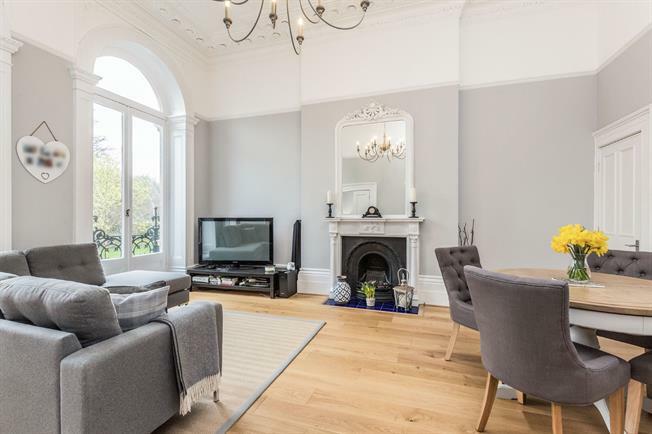 2 Bedroom Flat For Sale in Bristol for Asking Price £475,000. Having been fully renovated by the current owners this 2 bedroom apartment is incredibly well presented. The accommodation includes a light and airy open plan living room which leads onto a the balcony overlooking Victoria Square. The living room opens into the fully refitted kitchen with a range of built in appliances. The master bedroom is to the rear and not only benefits from an en-suite but also has a clever mezzanine level which offers a dressing room and study area. The second bedroom also benefits from views over the square and there is a fully refitted bathroom.